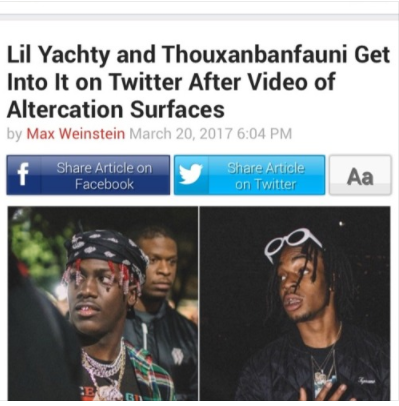 Uno the Activist takes verbal shots at Lil Yachty on behalf of Thouxanbandfauni. 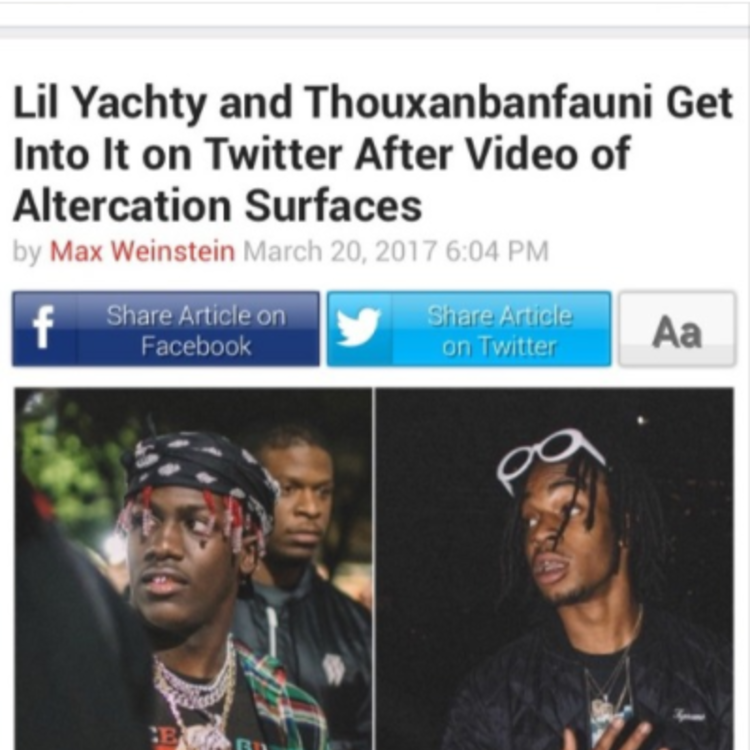 Lil Yachty had a confrontational SXSW 2017 experience that included a spat with a fan at a show and an altercation between his security and the Atlanta rapper Thouxanbandfauni in the lobby of Austin's Omni Hotel. The hotel incident was the latest chapter in a tense beef between Yachty andFauni, Lil Tracy, and Uno the Activist. Uno has responded with a new Yachty diss track called "#FREESMOKE." Produced by Pierrebourne, "#FREESMOKE" finds Uno floating freely between general flexes aimed at no one in particular and specific jabs aimed at "Boat." Yachty has earned himself many enemies in the course of the last 12 months, and his beef with Uno and company will likely get worse before it gets better.